All you should know. It has many different guises, all with the same basic concept. It is also called vacation ownership, holiday ownership and club time. They are about flexibility, choice and, for most, a great way to vacation. You can experience anything from chain rattling Scottish castles to the sun-drenched beaches of Hawaii and Mexico! You can return each year like the swallows or venture to vacation in distant lands. However you want to vacation, it’s up to you! And they come in all shapes and sizes! They come as biennials (every other year) to multi-week stays or as deluxe studios with kitchens to luxurious 3 bedroom lock-off suites! Some even come ‘all inclusive’ with food, drink, activities and entertainment for all. Whatever your lifestyle . . . this is the vacation of choice. Once Upon A Time share…A Brief, Brief History. Leisure travel has always symbolized luxury, freedom, pleasure and satisfaction. In fact, the word luxury derives from the Latin word luxu, signifying sensuality, abundance and splendour. The Greeks even believed leisure was the quintessence of civilized living. Leisure they called school, the pursuit of experience and learning. An apt word, which we’ve adopted as our own: School! Following the Industrial Revolution, our grandfathers and grandmothers, many born in foreign lands, yearned for a life of freedom and relaxation. It was after all . . . the promise of democracy. Yet for most of them, the life of the Great Gatsby would remain a dream. Year’s later, technology would leverage their hard work for our benefit and for the generations to come. And we thank them for that. During the last century, our leisure time has almost doubled. And this trend promises to continue! In the last twenty years, more wealth was produced than in the previous 4 million years! The next twenty years are expected to double the world’s GNP (Gross National Product) – its output of goods and services. Our standard of living, after adjusting for population growth, will rise by almost two-thirds! As Oscar Wilde wrote: “Give me the luxuries in life and I can dispense with the necessities.” Today’s citizens no longer yearn for vacations and leisure travel, they demand it. And that’s where they come in. Timesharing as a form of vacation began in the early 1960s in Europe, when various families shared in the ownership of a vacation home. Instead of one family owning a vacation home and only using it several weeks a year, it made more sense to share the time with others. This way each family owned what they used and shared the upkeep and costs proportionally. When this “shared vacation home” concept arrived in America in the early 70’s, it took the form of furnished condominiums and mega-resorts offered as weekly increments rather than vacation homes. Like any new concept, it has had their growing pains. Once renowned for high-pressure sales, long on promises and short on delivery, the industry has undergone regulation both from inside and out greatly improving public acceptance and security. And resort developers discovered that greater consumer satisfaction leads to greater profits. The more they improve their product, the greater its acceptance and popularity. Recognizable names like Disney, Marriott, Hilton, Hyatt, Four Seasons, Ritz-Carlton, Starwood and Wyndham now offer this method of vacation ownership and they have helped improve the image. Today more and more people are discovering the benefits of timesharing. To date, over 4.5 million households worldwide own at some 5,000 resorts in over 130 countries! In fact, timesharing is now the fastest growing segment of the hospitality industry. Condominiums offer the luxury of staying in a world-class resort with all the comforts and privacy of your own home. Ownership creates substantial savings over renting hotels, houses or condominiums and provides additional comfort and security too. Expect to pay far more for a hotel room and enjoy it less. With ownership you’ll bask in a spacious vacation condominium with kitchen, living room, one or more bedrooms and a private balcony or patio — even hot tubs and fireplaces are found. Don’t stop there! Resort amenities often include swimming pools, tennis courts, golf courses, health clubs, restaurants and more! Think about it. By pre-paying future accommodation expenses, you save on the rising cost of future vacations. Why not take what you now spend on vacations each year and apply it toward ownership. You’ll agree the best vacations are the ones you own! Why pay full time for a part-time vacation? Owning a one is like owning an affordable vacation home that fits your budget and lifestyle. Unlike owning a vacation home, typically used less than three weeks a year, you purchase one time based upon your needs and wants. Your year-round obligations of home ownership are eliminated and annual expenses such as maintenance, taxes, insurance are reduced to fit your vacation lifestyle. REAL LIFE: For Gary of Illinois, golf isn’t just a game, it’s his way of life. For years, he traveled the country visiting all the best courses. Unfortunately, he also paid the exorbitant costs of hotel stays and non-member green fees. When a friend referred him he was skeptical of ownership. He researched our web site, asked numerous questions and finally after feeling comfortable and confident with our professional advice, he followed his friends’ recommendation. He purchased a week at the Plaza Resort and Spa in Palm Springs. Zoom To The Present: Gary enjoys nearly a 40% savings over what he was paying. He now plays golf more often and enjoys the extras that true vacations have to offer. Gary adds, “I often trade my week through the exchange company and visit other renowned courses around the country.” All this for the same low price he pays at his home resort! You might not break par-owning , but you won’t break the bank! Owners enjoy flexibility in both time and place. When you own you can join an exchange program that enables you to trade your time for weeks and times at resorts all over the world. You’re never stuck in one place! Whether you want to trade your summer vacation week to winter, visit resorts in other lands, go cruising through the Caribbean or simply extend your stay at your own resort, they are meant to match your personal vacation style. REAL LIFE: During their retirement, Harriet and Thomas of Pennsylvania always wanted to see more of the country. Work schedules and the costs of putting their three children through college had seldom allowed for an extended vacation. They then made a life long family decision and purchased three weeks, knowing that they could trade these weeks for stays at other locations. This would give them the opportunity to travel to some of the places they’d always intended to visit. Even better, their three weeks at Shawnee Village in Pennsylvania served a dual purpose. Their weeks provided a quick and easy getaway vacation that was close to home and, by depositing the weeks with an exchange company, the Carlisles also enjoyed the luxury of traveling throughout the world. Since their purchase, the Carlisles have already visited Hawaii, California, Las Vegas and the U.S. Virgin Islands. Their next vacation will be to Orlando and Disney World. For one third of the original resort price and a small yearly maintenance fee, the Carlisles are fulfilling their life long vacation dreams. Watch out world here we come! Owning one is an excellent way to enjoy quality time with your family. School, little league, friends and work, all play havoc on modern family life. There was a time when we shared the same dinner table nightly. Today’s lifestyles make it difficult to even share the same fast food menu! Owning your vacation is like having ‘family love insurance’. Every owner will confirm this simple truth. It is a commitment to a quality lifestyle and an investment in yourself and your family. Whether your family is still under one roof or you’re dedicated empty nesters, your membership can be a cohesive force. With multiple weeks, multiple bedrooms and flexible exchange plans, you ensure your growing and ever extending family stays together for years to come. REAL LIFE: When sisters Christine and Claire’s mother died, the funeral was the first time they’d seen each other in two years. Christine’s job as an attorney in Massachusetts and Clair’s job as an executive chef in California kept the two apart. Both agreed that they would spend one vacation week each year together so that they wouldn’t lose touch. Since they grew up in the Lake Tahoe area, where they both enjoyed skiing, they agreed that a winter week at Tahoe would be an ideal way to spend time together. She found an excellent deal on a week at Tahoe Beach and Ski Club. If being successful in business, having a wonderful spouse and family, a beautiful home and a huge retirement plan were so easy . . . well . . . we’d all be very grateful. But it’s not and no one ever promised it so. It takes lots of hard work, sacrifice, giving and getting. But if we can make it a little better along the way, then . . . that might be half the battle. To repeat: Vacations are to attitude as timeshares are to lifestyle. Clearly, humans yearn for a life of leisure, luxury and learning. We always have and we always will. They are a flexible, affordable and exciting way to get there. A. Resort Condominiums International, or RCI, is the oldest and largest exchange company in the world. RCI allows owners to trade their weeks with other owners around the world. RCI has been in business for almost 30 years and currently work with over 3000 resorts in 85 countries. A. Interval International, or II, is the second largest and second oldest exchange company behind RCI. With over 1700 resorts in 35 countries around the world, II operates much like RCI, offering quality exchange services for its clients worldwide. Q. What are the benefits of each company? A. The benefits of RCI and II are essentially the same. They both give you an annual listing of all resorts. They both have a quarterly or bi-monthly update magazine. They both offer a “members only” travel agency (remember airfares aren’t included with your costs). Both offer last-minute getaways at a very reasonable price without having to give up your deposited week and both offer excellent customer service through their toll-free numbers. Q. Is there any difference between RCI and II? A. There is plenty of similarities between the two companies. Both companies are excellent. Q. Do RCI and II own the resorts? Q. Is there a membership fee for RCI and II? A. Yes. The annual fee for Interval International is (3-Year Basic Membership Fee) $227 and RCI’s is $249.00. They also offer five year subscriptions which may be purchased at a discount to the annual rate. Q. How do I make an exchange? A. Making an exchange is as easy as picking up your phone, calling RCI or II, and asking one of their vacation consultants to walk you through the exchange process. But, think of it as you think of going to the bank. The two companies vary, but the process with each is very user-friendly, and you are helped through the request and exchange process. The concept of exchange is easily summed up as “like for like.” As you make your exchange request, keep in mind that what you own. You are likely to get the same number of bedrooms, same season, and similar amenities as what your home resort offers. Your deposited week does not have to be taken before you are confirmed to go elsewhere. You also don’t have to travel the same fixed week that you have deposited. Q. When I make an exchange, does someone else have to use my time? A. No. All weeks are deposited into the space bank and requests are made against these weeks. Exchanges are fulfilled based on availability. Q. May I rent my week out? A. Once you become the legal owner, you may rent it out if you wish. Q. May I rent a week I have received in exchange? A. No! This is expressly forbidden. If you do this and the exchange company finds out you will be banned from future exchanges for life. Q. May I make an exchange and let someone else use it? A. Yes, but you will need to give the exchange company the name of the people who will be using the resort so they can make a guest certificate for them. The costs for a guest certificate are RCI $79.00, and Interval International $59.00. Q. When should I deposit my week? A. You are always advised to deposit your week as early as possible. You may deposit as early as one to two years or as late as fourteen days prior to the reservation date. Q. Do I have to make a request at the same time I make a deposit? A. No. In both of the major exchange companies, you have two years after you deposit your time to request an exchange. But if you wish to, you may make a request when you make your deposit. Q. When should I request my exchange? A. RCI allows you to request your exchange 2 days to two years before you want to travel as long as you have a week on deposit with the exchange company. Q. What is the difference between the exchange seasons? A. The difference in season indicates the popularity of any particular resort at that time. The most sought-after weeks (e.g. February week in Vail) are rated as high season and the less popular weeks (e.g. Winter on Long Island) are rated as low season weeks. High demand weeks are known as high season or red time, moderate demand weeks are known as midseason or white time, and low demand weeks are known as low season or blue time. Q. Is it possible to trade one high season week for 2 low season weeks? A. No. There may be certain exceptions to this, but do not purchase based upon this. One week will always exchange for one other week. Q. How many resort locations can I request? A. You are allowed to request up to four resorts in one area or several areas which you’re interested in. Being flexible in destination selection will improve your chances of making a successful exchange. Q. When do I pay the exchange fee? A. All fees are payable when you make your request. If you are requesting a guest certificate or adding other options they are due at this time. Q. How long will it take to confirm my exchange? A. Most exchanges are confirmed within twenty-four hours. If your desired destination is not immediately available, a computerized search will continue to look for exchanges. All incoming deposits will be checked up to fourteen days before your planned departure date or until confirmed. Q. Do I pay my maintenance fee to the resort I’m exchanging to? A. No. All maintenance fees are paid directly to the resort you own and not to the resort you are trading to. Q. What is an internal exchange at the home resort? A. An internal exchange allows you to exchange the week you own for a different week at the resort. If you have a summer week and wish to go at another time of the year the resort may do this for you based upon availability of inventory. The resort may or may not charge a fee for this service. Q. What is an internal exchange from RCI? A. Instead of using your home resort to exchange at the same resort you use RCI to facilitate this transaction. There is a fee for this service just like any other exchange. Remember, priority will be given to any owner wishing to exchange back at their home resort. Q. How many people can I take with me? A. You can take as many as the maximum number your unit sleeps. Resorts typically will not accept more than a unit’s capacity to stay in one unit. Q. Will the resort provide a daily maid service? A. Some resorts will have daily service, some bi-weekly, and some not at all during your stay. If this is of major concern to you, you should contact the resort you wish to visit to find out exactly what their policies are. Q. What is a maintenance fee? A. The maintenance fee is an annual charge, on top of your initial purchase cost, that goes toward the upkeep of your property. Your maintenance fee usually covers property taxes, insurance, utilities, cable, telephone, and all property up keep such as furniture, carpet, and the common facilities of the resort. Usually, the resort’s Homeowners Association decides this fee. Q. What is a transfer fee? A. A transfer fee is a cost that resorts charge to transfer ownership from one party to another. This fee applies directly to resales. Transfer fees are determined by the resort and will vary depending on what resort you are buying. Q. What sizes of accommodations are available? Q. What is a fixed week? A. A fixed week is ownership of a specific week of usage each year. The first week of the year will be designated as week #1, and the last week of the year will be week #52. Usually, fixed weeks are assigned to a fixed condominium unit as well. Q. What is a floating week? A. A floating week means that the week you own is not a pre-determined week. A floating week guarantees you one week within a certain time period based on what season rating your membership is. Each year, you contact the resort and reserve the week during your season that you would like to use. If you plan on exchanging your floating week, you will need to make a reservation before you deposit your week with the exchange company. Q. What is a point system? A. A point system is a vacation ownership in which you own points that represent the quality of the unit you will have. More points translate into higher season ratings, larger accommodations, and better trading power. For example, a low season studio unit may take 100 points to reserve the time, but a high season two bedroom unit may require 300 points. Most systems will allow you to borrow from future years or to carry over unused points to the next year. Q. What is a lock-off unit? A. Lock-off units may be divided into two or more smaller units for exchange or usage purposes. For example, a two bedroom lock-off may be divided into a one bedroom and a studio, or some other configuration which the particular resort will provide. Usually, one of the units is used for exchange purposes giving the owner the ability to vacation an additional week each year. Remember that you will no longer have the use of your large unit, but it will be in two or more smaller units. Q. What is a deeded property? A. A deeded property is one in which the property title does not expire. Once you own it, it’s yours until you decide to sell it, much like home ownership. Deeded properties may also be passed to your heirs. Q. What is leased or certificate property? A. A right to use it for a specified number of years. At the end of this period, the property reverts back to the developer. Some resorts allow accelerated usage which means that you may borrow usage from future years. to do so you will normally pay the maintenance fees for the accelerated usage. Q. What is life property? A. A membership which allows usage each year for the owner’s lifetime. Q. What is a stock company? A. Resorts issue shares of ownership in the property or properties which they are selling. Rather than owning a deed to a property, you own shares in the company which entitles you to vacation time each year. Q. Are there additional fees involved in the purchase? A. Yes. As in many property transfers, there are fees involved. You should expect to pay for preparation of the transfer documents, a maintenance fee and the recording and transfer fees which are determined by the county and resort. These may total a couple to several hundreds of dollars. Of course, all costs will be disclosed and accounted for before you purchase. Q. Does this include title insurance? A. No. That is an outside fee charged by a title insurance company for their services. Title insurance is only applicable to properties located in the United States. If you have questions regarding title, please do not hesitate to ask about availability. Q. How soon after purchase will I get my deed/certificate to the property? A. The usual time frame is ninety to one hundred and twenty days. There are exceptions to this, as some counties take longer to process transfers. We do keep you informed about the circumstances and any situation which may cause a delay in transfer. Q. How do I make sure I have a clear title to the property? A. Upon your request, you can order Title Policy ensuring clear title. Q. Can I ever sell it? A. Yes. Once you are the legal owner of a week, you may sell it at any given time. Q. How soon may I use it after purchasing? A. As soon as the owner has been transferred into your name, you may contact the resort and exchange company to start active participation. A. The maintenance fee is an annual charge, on top of your initial purchase cost, that goes toward the upkeep of the property. Your maintenance fee usually covers property taxes, insurance, utilities, cable, telephone, and all property upkeep such as furniture, carpet, and the common facilities of the resort. Usually, the resort’s Homeowners Association decides this fee. On average, you can expect this fee to increase by about 2-4% annually. A. A transfer fee is a cost that resorts charge to transfer ownership from one party to another. This fee applies directly to resale. Transfer fees are determined by the resort and will vary depending on what resort you are buying into. The two primary types of ownership are fee simple, as in the ownership of your home, and certificate, which is similar to a long-term lease. The difference? Fee simple you own forever, while certificate are often 25 to 30 years in duration. Fee Simple Ownership is another term for a deeded property. By purchasing an interest or week in a deeded location, your ownership is perpetual. Just like owning your home, you will receive a deed. Certificate Ownership, also known as right-to-use, gives the individual the ability to own for a specific amount of years. In most cases this will be the most common form of ownership outside the US. If any of these issues are important to you, be sure to ask before you buy. There are a variety of consumer choices available today. Normally only one type will be available at a particular resort. Listed below are the examples. The oldest and most familiar form of ownership is the fixed week type. The weeks of the year are numbered 1-52 and you purchase one or more weeks to be used at the same time each year at your home resort. The advantage to these types of owning is the assurance that your resort unit will be waiting for you faithfully each year. If you choose to exchange your fixed week you will receive a week at another resort in a similar season as yours, but most likely not the same week as you own. The next type is floating time. You buy your vacation time by size of unit and season of the year, not designated as to the actual date or week of the year. It is your responsibility to contact your resort each year and confirm your exact arrival date to the resort. Check-ins are usually Friday, Saturday or Sunday. Obviously, these types offer some scheduling flexibility, however it is usually based upon a first come-first served basis, so highly desirable weeks go early during their season. Also, when exchanging, you must first reserve or affix your time at your home resort before the Exchange Companies will accept it for deposit. Tip: Book as early as your resort allows giving you as many options as possible. The newest form of ownership to become popular is the points system or credits. You purchase a specific number of points or credits, which enables you to travel in specific seasons of the year and to various sized units. You also have the ability to use most point or credit based resorts for a minimum of 1 night to the maximum number of weeks purchased. The point or credit distribution usually relates to more points or credits used during high seasons and larger accommodations versus a smaller unit during the quiet season. Because these are very flexible, they are growing in popularity. Drawbacks? Their accounting systems are sometimes confusing. And they are subject-to availability, same as with floating time. Some programs have further expanded their offerings with multiple locations within the same organisation. The obvious advantage of such an arrangement is the additional flexibility to visit other ones in other locations, either near or far which belong within the group. Some assign you a ‘home resort’ location with the right to ‘internal exchange’ for other resorts, while others are totally open, depending on your reservation request. The maintenance fee is an annual charge that goes towards the upkeep of your property. Your maintenance fee usually covers property taxes, insurance, utilities, cable, telephone and all property upkeep, such as furniture, carpet and the resort’s common facilities. The resort’s Homeowners Association usually decides upon the fee. A transfer fee is what resorts charge to transfer the ownership from one party to another. This fee applies directly to resale. Transfer fees are determined by the resort and vary. As in all deeded properties, the recording fees are the nominal costs associated with the county from which the deed is being drawn. It is the county to which the resort is located. If a resort’s maintenance fee does not have a built-in reserve fund for replacement and or major repairs, the homeowners association may reserve the right to charge a special assessment in the event improvements or repairs are required. Need a quick refresher in terms? It’s often difficult to navigate through the industry’s vocabulary! So here’s a helpful guide that you can use to understand some of the more frequently used terms in the business. For your convenience, these terms are listed alphabetically below. A deeded property is one in which the property title does not expire. Once you own, it’s yours until you decide to sell it, much like home ownership. Deeded ones may also be passed on to your heirs. The 24 month time frame within which owners are eligible to deposit their vacation week in the exchange pool. Notification that owners and the host resorts receive regarding the unit they receive in exchange and the dates of occupancy. A floating week is one where you contact the resort to book a reservation within the timeframe of the season you own. This booking is done on the basis of availability so, to ensure the best possible choices, it is a good idea to reserve your time as far in advance as possible. A High Season Week is designated by the resort as the time that they have the greatest demand for use. A vacation exchange conveniently made by telephone for travel dates within the next 2 to 45 days. The right to use it for a specified number of years. Certain resorts may allow for accelerated usage, which means that you’ll have a specified number of weeks that you may use, but you may use more than one week per year. Most in Mexico are of this type, since the Mexican government tries to prevent long-term foreign ownership in their vacation cities. A membership that allows usage each year for the owner’s lifetime. The Maximum number of guests that a unit will accommodate. The number of guests that a resort unit will accommodate, based on two adults per separate sleeping area, with private access to a bathroom. The 24-month time frame within which owners may submit their vacation exchange requests. A vacation exchange request made by telephone or mail for travel dates between 24 months and 45 days prior to the week of travel. Resorts issue shares of ownership in the property or properties they sell. Instead of owning a deed to a property, you own shares in the company, which entitles you to vacation time each year. 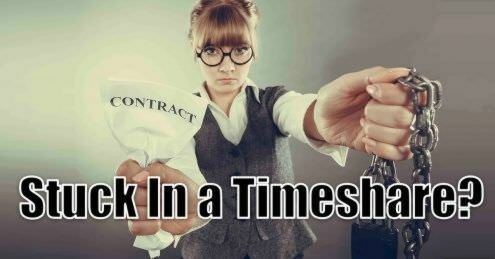 The value assigned to a member’s deposited vacation time. Trading power is the basis upon which the system searches for available space in the exchange company. If you do not find the term you are searching for, or if you know of language particular to the industry that would benefit prospective owners, please feel free to contact us. We can add these items to our list. Our claim calculator is a quick and easy way to find out how much you could receive in compensation.